IFLN member Fr. Meyer's Sohn (FMS), based in Germany, collaborated with fellow Network cargo agent Highland Forwarding on the shipment of a consignment of non-hazardous chemicals from the U.S. to Germany shortly after Easter. Originally prepared in Houston for shipment by sea in a 20 foot Flexitank container, the urgency of the end-customer’s need for its cargo required a quick change of plan, and the decision was rapidly taken to instead move the cargo by air. FMS Germany suggested to the consignee that the shipment should be placed within intermediate bulk containers (IBCs) that could be flown out of the U.S., and the shipper quickly signaled its approval, explained FMS's general manager airfreight, Henry Birzer. It was calculated that the chemicals could be transferred from the Flexitank into a total of 22 IBCs – with a gross weight of nearly 20 tons. 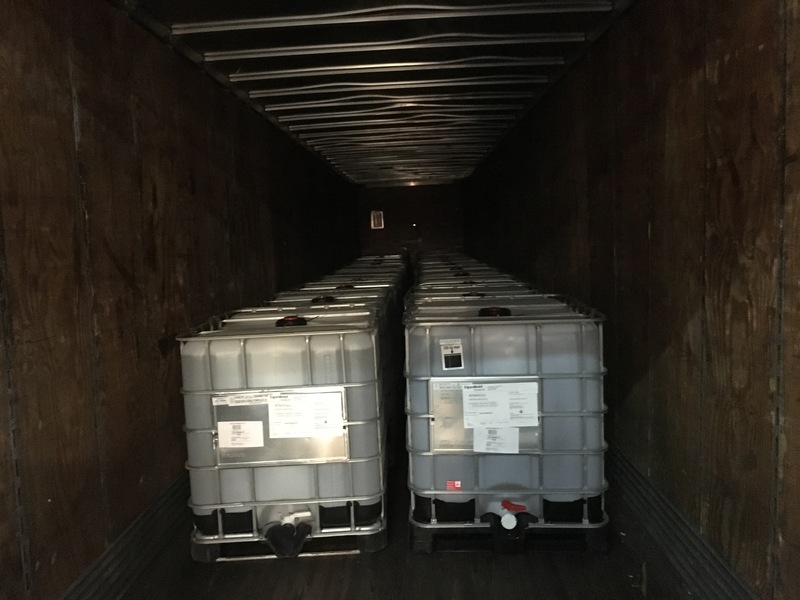 The chemicals were transported in 22 intermediate bulk containers. Based on this information, planning for the transport of the shipment by air could begin. "After examining the various possibilities, it soon became clear that Highland Forwarding was the perfect partner to implement this logistical challenge," said Birzer. Christine Hanc, project department manager at Highland Forwarding in the U.S., takes up the story, "The most important issue was that the load arrived as one consignment; second, we needed to get the shipment out of the U.S. by a specific date. "We had our local Houston trucker arrange a direct pick up from the shipper and drop it at the airport the very same day," she continued. British Airways flew the cargo out of the U.S. on a scheduled flight, thus no charter was needed, the IBCs being consolidated into a single batch on a freighter to Frankfurt. A smooth clearance through Customs was followed by transport to the consignee's warehouse in northern Germany by 08.00 the next day. "Thanks to the professional and successful collaboration with the IFLN Group, the customer was more than satisfied," Birzer enthused, adding that he would be more than keen to work again with Highland, or indeed other IFLN members. And, said Hanc, "FMS are very easy to work with and we were excited to be working with them on this shipment. Their professionalism and quick responses made this transaction very smooth for everyone involved." The IFLN Network consists of 285 specialist freight companies in more than 100 countries with high standards of quality, conduct, and business practices enabling them to compete with the multinational logistics companies on a global basis.